Arun Roberts just wanted to get away from the metronome. He took that desire, along with 8 players and 5 songs into a living room and made the Dirt Hand EP. Songs off this first work would appear in a handful of independent films and had him playing alongside the likes of Leah Senior, Ella Hooper and Ben Salter. 2 years later Dirt Hand was back in the studio with a new, deeper concept and a ferocious, improv-based band process. THORN is the central pillar of this process. 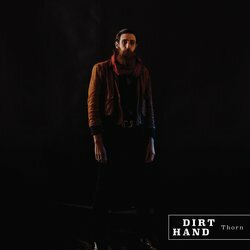 THORN is a discussion. I created a set of rhythmic variations and had one group clap through that rhythmic set while the other group sat at their instruments. I gave them no chords, no tonal centre and no instructions except to just listen to the claps and respond to the rhythms as they changed.